Product designed to take care of exterior metal parts of a car body. 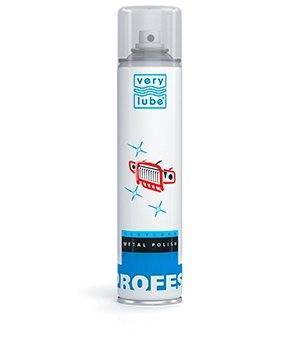 Today's best product for cleaning and polishing metal parts of a car body. Used universally for steel and aluminum load-bearing elements, as well as for parts made of copper alloys and zinc. Gives a bright metal shine to faded surfaces and refreshes them. 2. Spray a small amount of the product onto the surface to be treated. 3. Polish with a cloth.